The last few years have seen something of a return to form for Blancmange. Despite their hefty output of late (Unfurnished Rooms is their fourth album in three years, with Semi Detached and Nil By Mouth both released in 2015, and Commuter 23 in 2016), their prolificacy hasn’t yet affected the quality of their music. Perhaps the reason for this is because these recent albums are more like continuations of each other rather than something completely new. All seem centred around some sort of dark, dystopian parallel universe where distorted, sporadic synthesisers rule the airwaves and the distinctive voice of Neil Arthur is the sound most familiar to those citizens who still remain on good old Planet Earth. Unfurnished Rooms is no different. Even the mere title of the album conjures up thoughts of emptiness and isolation, whilst the track of the same name unfurls into a progressive stomp immersed in fantastical imagery (“in search of unfinished works/hung well in barrier-reefed frames”). It is arguably the best track on the album too, shining like a particularly polished jewel out of the deliberate solemnity in a similar way to the yellow writing on the cover standing out against the dark, cold blue of the background. The rest of the album is also what listeners might expect if they are familiar with any of Blancmange’s recent work. Not a lot of actual singing can be heard, per se; vocals on stand-out tracks like ‘Gratitude’ – an angry reflection on the nature of a difficult relationship – and ‘What’s The Time’- a series of thought-provoking questions spat by Arthur in his sufficiently bitter Northern accent- are more spoken than sung. That is not to say there is a lack of musicality on the album as a whole, however. What Unfurnished Rooms lacks in vocal melodies is more than made up for in poignant lyric-writing (‘We Are The Chemicals’), edgy synthesisers (‘Anna Dine’) and strangely touching modern commentary (‘Don’t Get Me Wrong’), and yet still manages to retain Blancmange’s typically defiant sound throughout. Admittedly, it does make for rather a difficult listen at times, as there are frequent spiky moments when it sounds as if Arthur himself is not quite sure of what’s going on. Some songs are, for want of a better phrase, a little cluttered; a few smoother moments or slightly less jolted transitions from one thought to another would not go amiss. Once the clutter has been sorted through, however, we are left with the group at their simplest, unfurnished best- rawer and more blunt than you might expect. 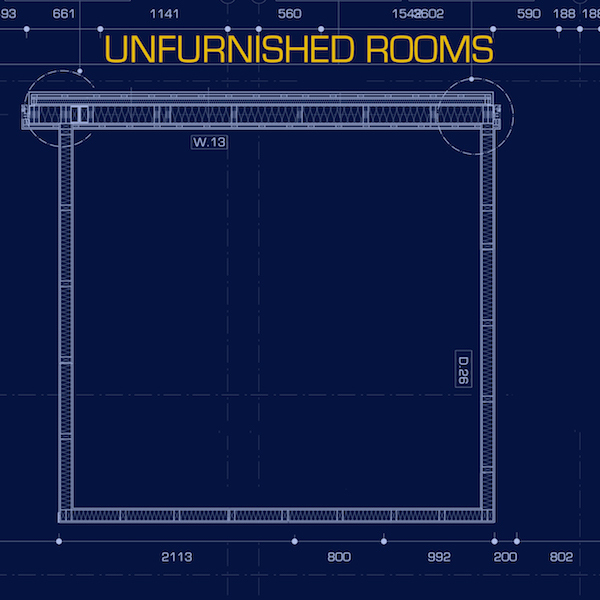 Unfurnished Rooms is unafraid of the truth and unashamed of telling it, and whilst as an album it isn’t always easy to listen to, it makes for a welcome new chapter in Blancmange’s ongoing story. Unfurnished Rooms is out now. Describing herself as “vinyl collector/budding music journalist/OMD maniac/regular gig-goer”, Imogen is one of the most active people in the OMD fan community. This includes a very creative streak with the assembly of highly detailed scrapbooks centered around the iconic synthpop act. Imogen also maintains her own music blog at The Sound Of The Crowd which has a strong emphasis on the classic 1980s period. 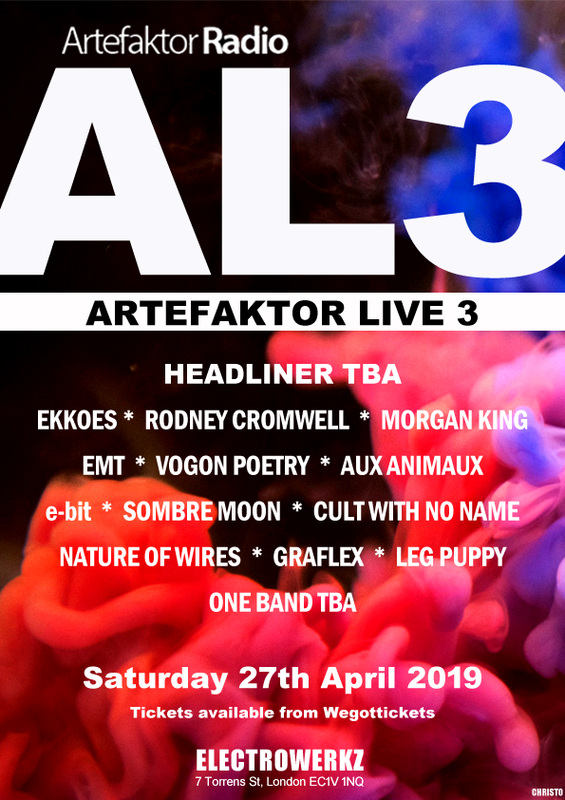 On April 27th 2019, Artefaktor Radio return to London to host their third live extravaganza. Previously known as SynthWave Live, ‘Artefaktor Live 3’ will be held at Electrowerkz, in Islington. Empathy Test will be headlining this year's event. Main support comes from the gloriously infectious EKKOES, we are lucky to have so much fresh, exciting talent hitting the stage. Returning to perform again from last year is Sweden’s Vogon Poetry, joined by a glittering array of fellow exponents. Artefaktor’s very own LegPuppy are one of several UK-based artists appearing, alongside Rodney Cromwell, Morgan King, EmT, Cult With No Name, Nature Of Wires, Graflex, and Sombre Moon. To complete the line up we are delighted to welcome e-bit from Germany, and Aux Animaux from Sweden, with one more band to be announced. The live music will be complimented by Artefaktor DJ sets across the event, making it a one stop shop for the very best in electronic music. The event will once again also be streamed live not only via Mexico on Artefaktor Radio, but through our partners Portobello Radio in UK, and Bombshell Radio in Canada. Get your tickets now!